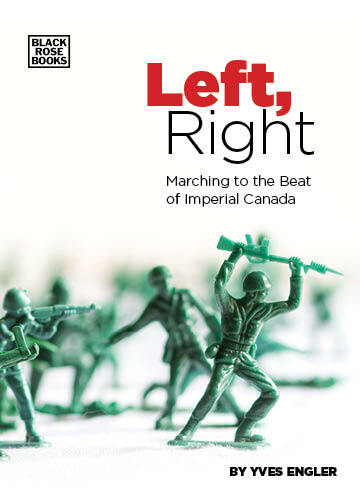 The first two installments of the series showed how NATO was set up to blunt the European left and to justify European/North American dominance across the globe. Recently, the alliance has intensified pressure on Canada to increase spending on the military and participate in more wars. As its Cold War pretext fades further from view, NATO has become more belligerent. In 1999 Canadian fighter jets dropped 530 bombs in NATO’s illegal 78-day bombing of Serbia. During the 2000s tens of thousands of Canadian troops fought in a NATO war in Afghanistan. In 2011 a Canadian general led NATO’s attack on Libya in which seven CF-18 fighter jets and two Canadian naval vessels participated. In a dangerous game of brinksmanship, NATO has massed troops and fighter jets on Russia’s border. Five hundred Canadian troops lead an alliance mission in Latvia while the US, Britain and Germany head missions in Poland, Lithuania and Estonia. Over the past decade Canadian naval vessels have almost constantly engaged in NATO patrols in the Mediterranean and Indian Ocean. In addition to spurring deployments and war, militarists use the alliance to boost socially and ecologically damaging military spending. “Canada’s defence spending questioned at NATO parliamentary meeting”, noted a November CBC headline while a National Post editorial bemoaned “Canada’s continuing failure to honour our pledge to NATO allies to spend 2 per cent of GDP on defence.” In 2006 NATO countries adopted a pledge to put 2% of economic output into their military. NATO is a nuclear weapons club. These monstrous bombs have been “a fundamental component” of the alliance’s military planning. Through NATO Canada has effectively committed to fighting a nuclear war if any country breached its boundaries. Additionally, the alliance does not restrict its members from using nuclear weapons first. In other words NATO spends money (which ultimately come from our taxes) to convince Canadians that wars and military spending are good for us.